Colorado police are seeking the public's help identifying a burglar who dressed up as "Rudolph, the red-nosed reindeer." Colorado police said Sunday they were looking for a woman who allegedly burglarized a business while disguised as Rudolph the red-nosed reindeer, NBC News reported. 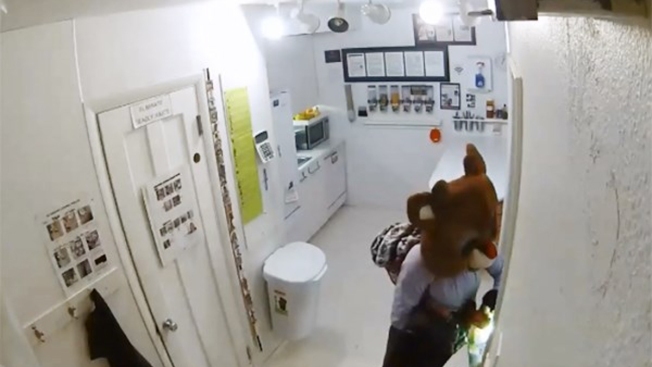 In a video posted by police in Fort Collins, the woman, who’s wearing a large, furry Rudolph mask, is seen entering a room, putting on the lights and stuffing items into a shopping bag. At one point, she removes the mask and looks at an overhead security camera. Police put their own spin on Rudolph’s classic song, writing on Facebook, “Oh how the camera caught her/As she committed burglary/Rudolph the Red Nosed Criminal/We need your help with her I.D."